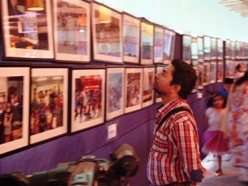 On March 19, 2016, JICE together with the JDS Bangladesh Alumni Association held a photo exhibition in Dhaka entitled “Sugoi Japan” as part of the JDS follow-up activities. 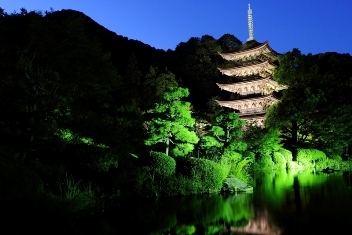 Out of more than 200 photos submitted by JDS Returned Fellows, 70 photos were chosen by professional Bangladeshi photographer, which showcased Japan’s society, nature, abstract, cityscape and architecture. 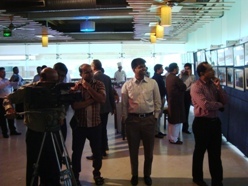 More than 40 participants turned out for the event and the top winning entries selected by judges were announced. The guests, which included Mr. Arastoo Khan, the Chairman of the Bangladesh Commerce Bank Limited and Former Secretary to the Government, Mr. Atsushi Uchida, the Senior Representative of JICA Bangladesh Office and Mr. Md. Ruhul Amin, the Deputy Secretary of the Economic Relations Division of the Ministry of Finance, together with the JDS Alumni talked about their good memories of Japan. 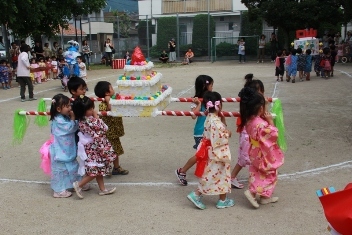 One participant commented that the photographs truly captured the appeal of Japanese culture, life and study; another commented that indeed the JDS Returned Fellows could contribute to Bangladesh's development using their knowledge and experience they gained from Japan. 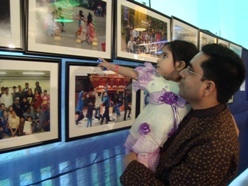 This event was also made possible by the generosity of the Walton Group, a major electric appliance manufacturer in Bangladesh, who sponsored this exhibition. The JDS Project was established for human resource development for young leaders in partner countries funded by the Japanese grant aid. 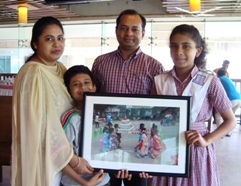 In Bangladesh, the project began in 2001 and so far, 226 grantees have their Masters’ degree courses and have been contributing to the country's development. 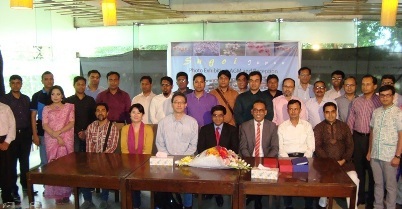 JICE intends to enhance JDS follow-up activities to enable JDS Returned Fellows to better understand Japan, thus promoting bilateral relationship between Japan and Bangladesh, and help JDS Returned Fellows to work at the forefront of Bangladesh’s development.